The Railway authority conducts entrance examinations for the recruitment of highly eligible candidates for various openings in the Railway service. Railway entrance examinations are held for the selection of technical and non – technical cadres in railway. The UPSC as well as the Central Government conducts the examinations for the recruitment of the candidates for various posts. The Railway Recruitment Board holds an annually based entrance exam in a written format for recruiting individual in the post of ASM. It can be defined as single phase written entrance exam which comprises of 100 to 120 odd questions belonging to the categories such as Language General Hindi/General English, General Awareness, Analytical and Quantitative Skills and General Arithmetic. These four segments are the major areas where the stress is given in the entrance paper. The RRB examinations are conducted across the country in order to recruit the right candidates to serve the various units in the railway department. The recruitment is made on the basis of the requirement. The examination is carried out by an authorized board known as the railway recruitment board. They have to ensure whether the examinations are organized smoothly. The examination consists of both the written test and interview. This examination is organized to recruit the qualified candidates to the several posts including Indian Railway Service of Engineers (IRSE), Indian Railway Traffic Service (IRTS), Indian Railway Service of Electrical Engineers (IRSEE), Indian Railways Accounts Service (IRAS), RPF Sub-Inspectors / Constables Examination, Indian Railway Store Service (IRSS). The candidates have to clear the civil service examination for getting an employment in IRAS. Engineers from the concerned field of study can apply for IRSS examination. The candidates must be a graduate from any one of the reputed universities in order to appear for this examination. Apart from this the candidate must have pursued their higher secondary education in science stream. Aspirants who have passed the Railway Ticket Checker’s exam conducted by the Railway Recruitment Board and the Personal Interview thereafter can become Railway Ticket Checkers. Since RRB comes under the Central Government, aspirants can attend the exam in any of the exam centers countrywide. The test is conducted as per the vacancies coming forth in the Railways. The notification for the exam will be published in leading dailies. 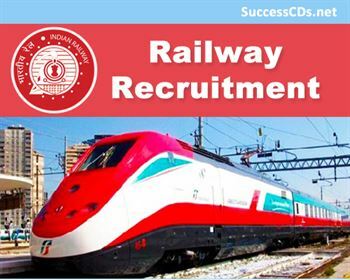 Railway Recruitment Board conducts an examination for recruiting eligible candidates to the position of Assistant Station Master in Indian Railway. Those who have completed their graduation in any discipline can write this exam in order to get into the post of assistant station master. Diploma in Rail Transport and Management from the institute of Rail Transport will be considered as an additional qualification for this job. Necessary training will be given for the candidates who are selected for this job. The Union Public Service Commission will hold the exam for recruiting candidates for the post of Special Railway Apprentices in the Mechanical Department of the Indian Railways. The exam is held as per the rules published in the Gazette of India by the Ministry of Railways. In order to appear for this examination, the candidate has to complete the intermediate examination or its equivalent. They should have studied subjects such as Physics and Mathematics or Chemistry and Mathematics. The candidate should hold a minimum of 50% marks for their intermediate examination. The age of the candidate should fall within 17 to 21 years.